Full looking lips without injections? Yes please. The trend for big lips is, well, getting bigger and bigger. But fillers are expensive, risky and can permanently damage the lip tissue – IMHO, just stay away. 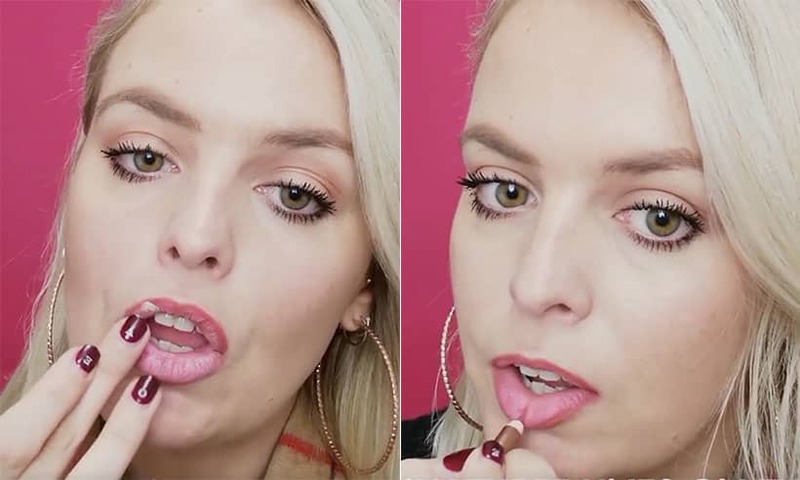 Instead, you can very easily create the illusion of full looking lips with a few simple DIY tricks! I demonstrated these in the video below… The first? Contour. Slightly overline the lips and draw vertical lines to add dimension. Fill in the gaps with tiny bits of concealer and dab to blend out properly. Apply a lipstick to sheer over the contour and finish off with a lip gloss – shimmer-flecked glosses help to create the illusion of plumper lips by picking up light and reflecting it back. If you want to take it one step further, you can apply a lip-plumping gloss – it uses ingredients like spearmint and peptides to add a temporary boost in volume.